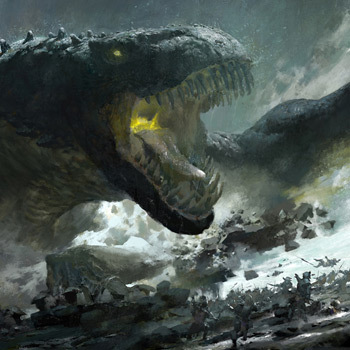 Guild Wars 2's next update will make dragons even more deadly and improve group play. It's barely been a week since the developers behind Guild Wars 2 relaunched the game's Super Adventure Box, but that hasn't stopped them from gearing up to release yet another update. Tequatl Rising will hit the net on September 17th. The update will add a tool that should allow players to more easily find a group and implement a much-needed overhaul to one of the game's bosses, Tequatl. "The update features the return of Tequatl the Sunless, the fierce dragon boss who rises from the water to destroy and devour. New and more challenging combat mechanics from Tequatl will require players to work together and adopt creative strategies to prevail; the fight promises to be epic and one of the most difficult encounters yet!" The Looking For Group tool has been on the fanbase's wish list for a very long time, so today's announcement came as a welcome surprise. Once it's released, players should have no problem finding a group for fractals, dungeons, PvP, or anything else that requires more than one player. Tequatl Rising will be released on September 17th, which gives players a week to get their personal affairs in order before re-dedicating their lives to dragon hunting. If you'd like more information about the update, check out the Tequatl Rising launch page.